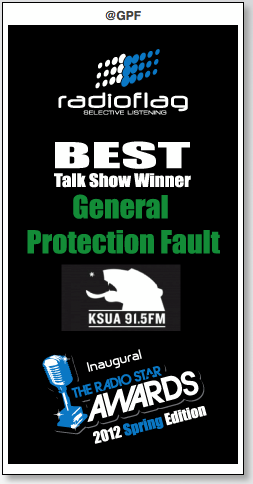 General Protection Fault began as a weekly computer issues program, which aired from Fairbanks, Alaska way back in 1997. This radio show entertained and educated listeners and readers with computer talk that they could use for over seven years. Of course, nothing can last forever, so GPF took a break and everything fell into disarray… UNTIL NOW. As it stands, we are still General Protection Fault, but we have moved from a radio program to a podcast and website… and back to a radio show again with everything from before. We are kind of a big thing. Our catch phrase is Computer Talk You Can Use. Of course we don’t only talk about computers, but Tech Talk You Can Use doesn’t sound as cool. On this magazine-style program, we discuss recent tech news and offer our own stylized commentary. Our web segment, the aptly named “404 OF THE WEEK”, takes an in-depth look at a new or established website. We also routinely review the newest and latest computer, web and console products, and we feature interviews with computer folks, game developers, Internet businesses, computer training clinics and other tech professionals regarding a multitude of electronic concerns. All of this information, in audio files no less, is stored on gpfault.com… which is where you are right now. General Protection Fault producer and host Jeremy Smith along with co-host Ivan Baird have been educating listeners and incorporating humor along with interesting tech-knowledge to attract computer gurus and new users of all ages. In fact, many of our listeners have compared us to a tech version of the now retired Car Talk… entertaining, yet still informative and accessible. …AND the inventor of Tetris too! 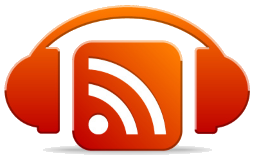 Listen to some of our past shows and hear what you have been missing!